Spring Valley, IL — March 24th, 2019 — Dan Johnson, Fayetteville, OH. and Larry Rhoads, Milford, OH. 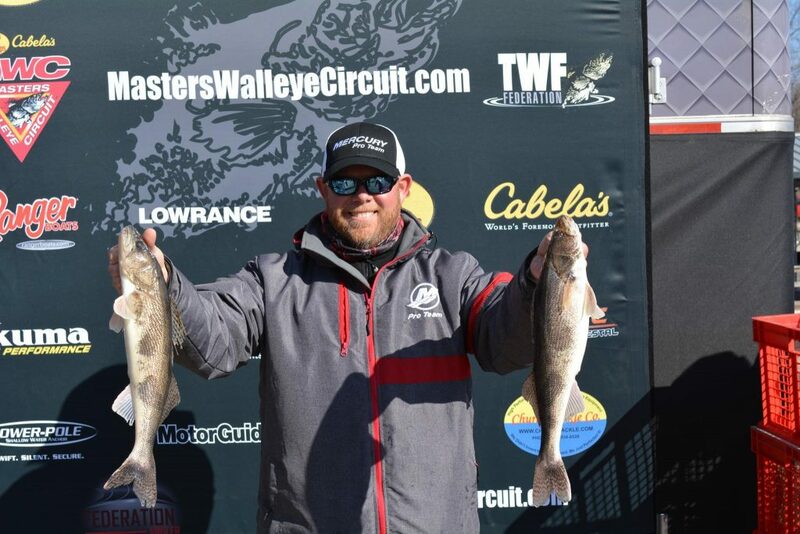 sat in 22nd place at the start of the second and final-day of the Bass Pro Shops and Cabela’s Masters Walleye Circuit, presented by Lowe Equipment Attachments, on the Illinois River. If you ask them, it’s right where they wanted to be. Both the first and second place teams weighed 23lbs – 3ozs for the event. Scott Geitgey, Canton, OH. and David Kolb, Grand Blanc, MI. brought 5 fish to the scales Friday and only 4 fish Saturday while Johnson and Rhoads handed in a 5-fish tournament limit both days, winning the tie breaker. 3rd Place: Robert Hausler, Plano, IL, & Chris Clemmons, Newark, IL, 22lbs -02oz, $3,850 cash. additional $1,900 from the option pot. 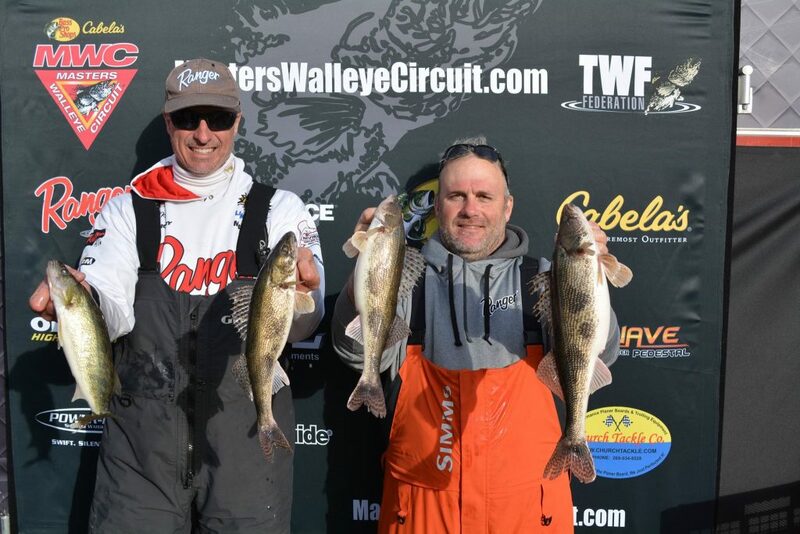 984lbs- 12ozs of Sauger and Walleye were weighed in 100% alive from the 498 fish that graced the scales during the event. In an annual cooperative conservation program between MWC and the Illinois DNR all the fish were taken by the IDNR for brood stock to spawn out in the hatchery this spring and continue to restock the Illinois River with Sauger. National Professional Angler Association member Max Wilson hosted a slew of kids at the MWC and NPAA’s Youth and Family Fishing Clinic Friday afternoon, immediately following the weigh-in and gave away a number of fishing rods to attendees. Under the umbrella of The Walleye Federation (TWF), the Bass Pro Shops/Cabela’s Masters Walleye Circuit is North America’s longest-running, undisputed leader in team walleye tournaments. A proud member of the freshwater fishing hall of fame, MWC has set the standard for competitive walleye fishing for 35 years and is open to avid walleye anglers from all walks of life. 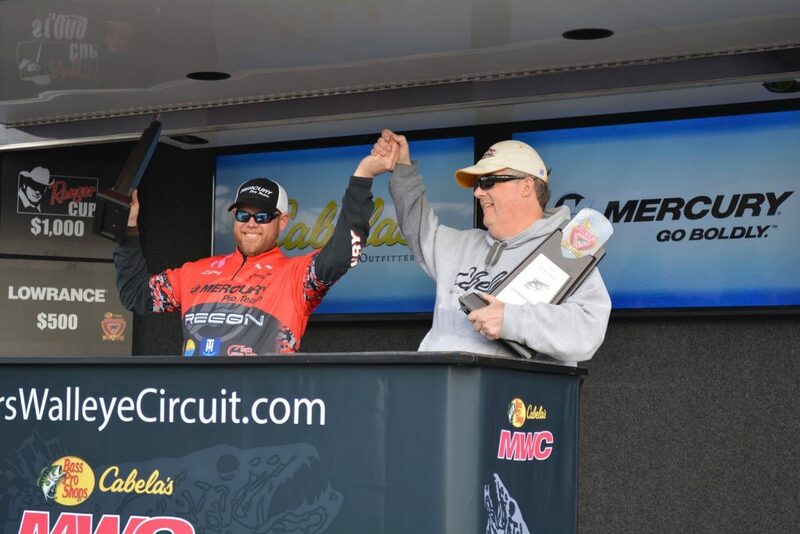 The 2019 schedule includes eight qualifiers in six states including: Illinois, Michigan, Minnesota, Wisconsin, Nebraska, Ohio and North Dakota, plus the 2020 Bass Pro Shops and Cabela’s MWC World Walleye Championship.